For me it would be if they chose the wrong person to compose the soundtrack, it would lose all its atmosphere and beauty, what would ruin avatar 2 for you? Last edited by discounthobo159; 09-06-2016 at 05:42 PM. Actually, a lot of things. 2. If they try to basically re-make the first movie. Quaritch is back from the dead (alive via Frankenstein science), trying to destroy the tree of souls in order to conquer the world of Pandora and get all of the unobtanium. 3. If we spend the majority of the movie underwater and it doesn't live up to the majesty of the surface of Pandora. 4. If it's a cliffhanger ending a la Matrix reloaded. I'm going to be honest. I'm actually afraid of the sequel and I have been for a very long time. There have been so many delays, there have been o many sub-par sequels in other franchises and the story of the first one ended in such a way that I really don't know where it can go next. Is it just going to be the humans coming back and trying again? Stephen Lang is returning, is it a clone or did they bring him back from the head after getting shot through the heart with two spear sized arrows? None of that sounds particularly good, but what else is there for them to do? The introduction of some kind of magic or supernatural force without reasonable explanation. Avatar 2 would still be a decent experience for me I guess, but this unique, extraordinary level of immersion that made the first one so "special" will be gone. Unnecessary scenes with gratuitous action and splosions comes to mind first. A bad soundtrack definitely would be unfortunate, though I'll cut some slack for whoever ends up stepping into James Horner's avatar-sized boots. And also I would feel like the movie would be incomplete without something stressing the importance of environmental stewardship. Detractors say Avatar is a rip-off of Ferngully; I say there aren't enough such rip-offs being made in this day and age. Last edited by discounthobo159; 09-08-2016 at 10:29 PM. I think James is a good movie maker. What would ruin Avatar 2 is not having either an exploration of Pandora or a story. the story of the first one ended in such a way that I really don't know where it can go next. Remember that the movie ended with the avatar Jake opening his eyes after the transfer. There were children in Avatar. They were figurative characters, but if you talk about secondary ones, it's OK.
Last edited by Na'vi a Kepekmì; 09-08-2016 at 11:44 PM. Featuring Jake, Neytiri, Jake Jr. and Jakette. Tbh the movie is still a great mystery. As for me, I know to realize that to meet or exceed the first experience, is going to be hard to do, so Im not going to over expect, but, 1. James Cameron is good with sequels IMO. 2. JC said that he wants Avatar to be his Legacy, knowing how much effort he puts into his stuff, something that HE wants to be his legacy is going to have been well thought out, not some cookie cutter sequel, the reason for the nearly decade wait is because he has been working on the story, so it will be a well thought out progect. I guess the only SLIGHT, SLIGHT fear is maybe the chance that things are "overthought" being that he wants this franchise to be his legacy, it might be possible that he overthinks something and maybe it affects the quality of the plot, But even so I LOVE avatar and it probably wouldnt bother me, and again I trust that its going to be a well thought out ride and I am stoked for the day the rest of the journey resumes. the only thing that would ruin the sequels for me, is JC not finishing the story he started, but since he is shooting them all back to back/concurrently, it looks like we're in for a heck of a ride, starting in 2020! Supposedly, if Avatar 2 & 3 do not do well enough, there will not be an Avatar 4 or 5. I do not know what that means. What does "not well enough" constitute? Is a billion dollars worldwide "well enough"? 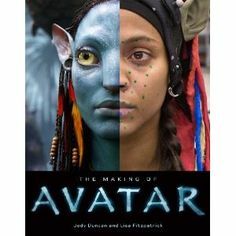 While they will most likely do well, I do not expect the Avatar sequels to push the original for the worldwide box office record. Does it need to break that record to get the final two movies? I suspect they want it to be equal to or get more overall between the two movies than the first. I guess that after so long someone is worried that the movie will bomb/perform poorly and doesn't want to get accused of wasting millions. Ertew waiting for European meetup. - Making Av2 less than 120 min (2 hours) long.